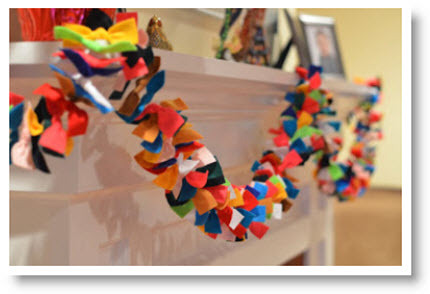 What a pretty and fun garland that you can make in any colors for anytime of the year. How about red, white and pink for Valentine’s Day? Kym hosts “Cobberson & Company” has a complete tutorial “Anthropologie inspired felt bow garland” for us to follow. Have fun with this and thanks Kym for sharing and yours is prettier than Anthropologies.